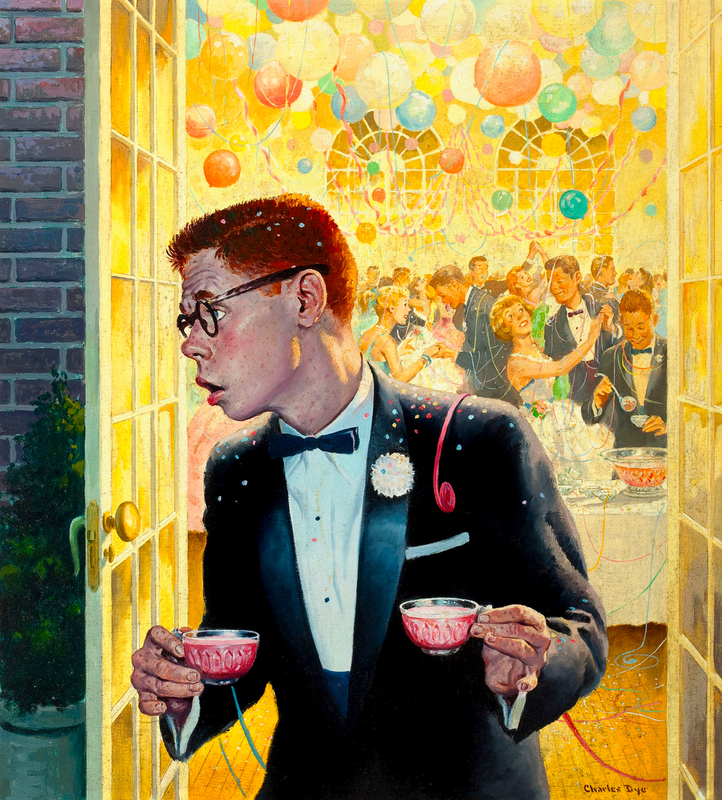 A luckless redhead gets ditched by his date while grabbing refreshments at a school dance in this painting by famed American cowboy artist Charlie Dye. This heartwarming scene is expressly American with its early 60s fashioning, styling and frivolous subject matter. That punch sure looks tasty too! Cover art for the Sunday newspaper supplement American Weekly, oil on board, 1961.